1st Annual Venice Art Walls Día De Los Muertos Celebration - Yo! Venice! On Sunday, October 28th, STP will present the 1st annual Venice Art Walls Dia De Los Muertos celebration. 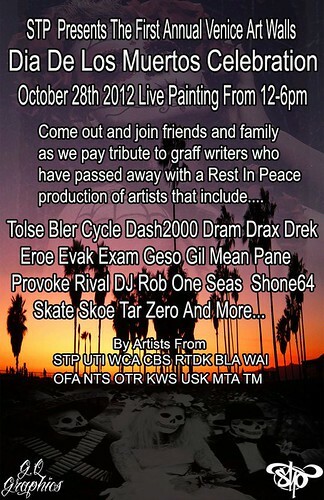 Live painting will be from 12-6pm.